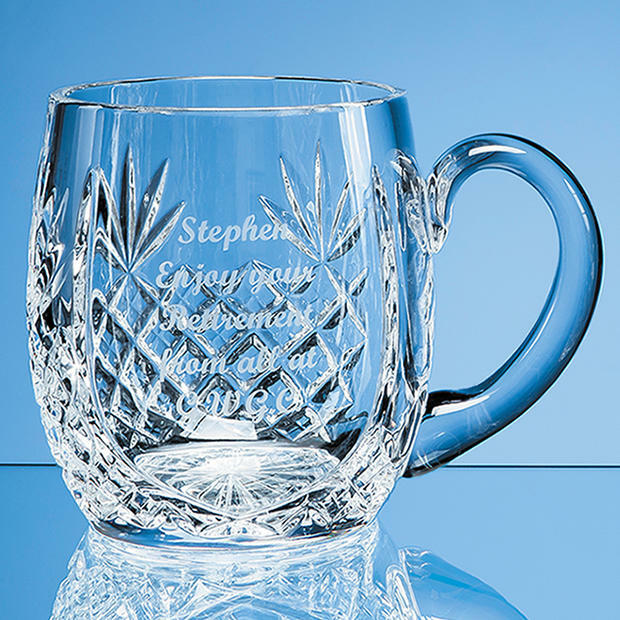 This barrel cut glass panel tankard is made of lead crystal, personalised cut glass panelled barrel tankard, engraved cut glass panelled barrel tankard has a diamond cut design. The engraving area is excellent for your personalisation, logo, badge and wording. Excellent business award, sports award or just as a great gift.